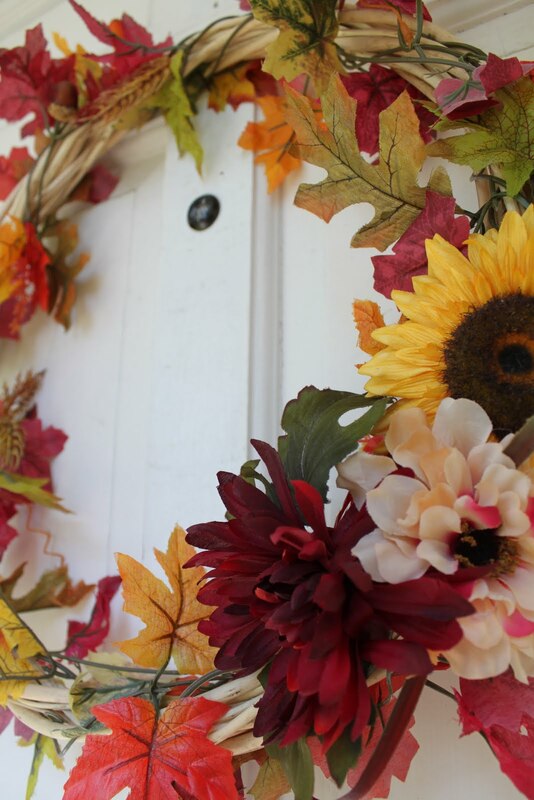 DIY: Fall Wreath for $4!!! No Joke, that is all it cost me! Outside of my house the giant maples are beginning to shed their leaves. I decided it was time to get a new festive wreath on my door. As I looked around, I came to realize that wreaths don't come cheap. The cheapest I found was around $16 and sparse. 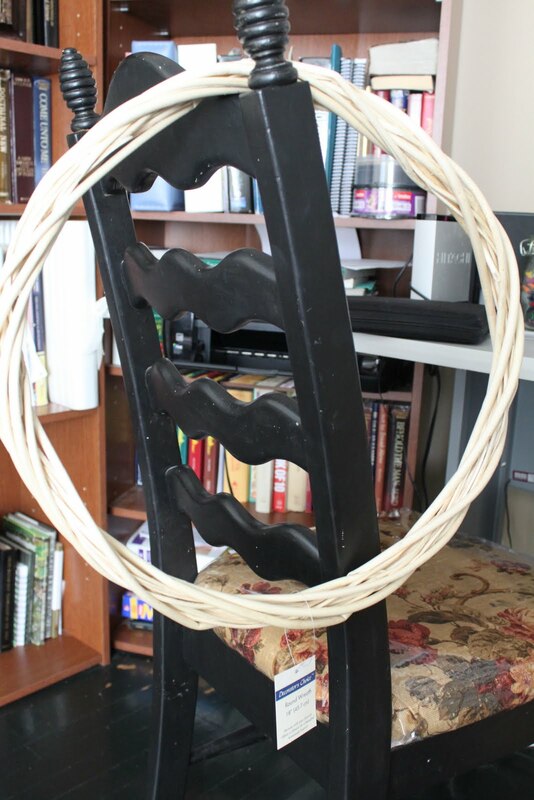 Time to DIY Diva it! 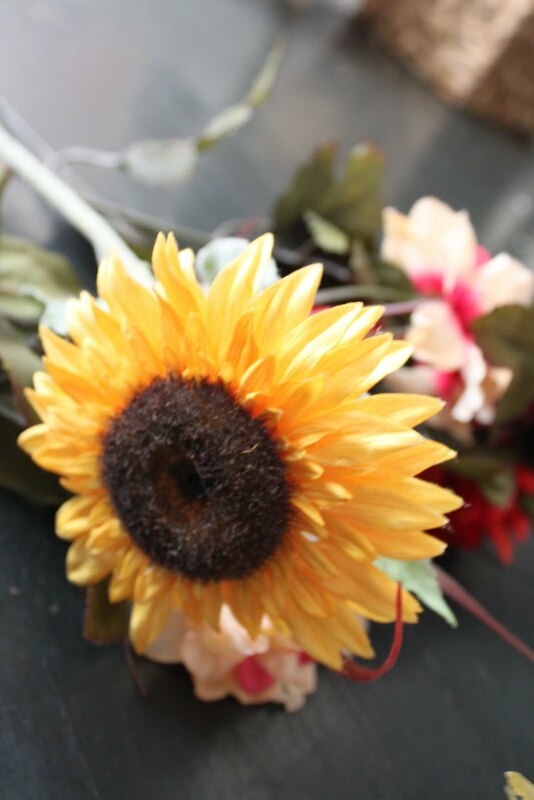 I already had the flowers. 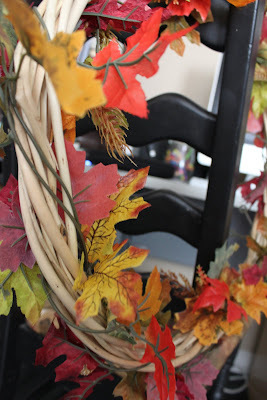 Wrap the fall leaves around wreath frame. Hot glue on extra flowers. 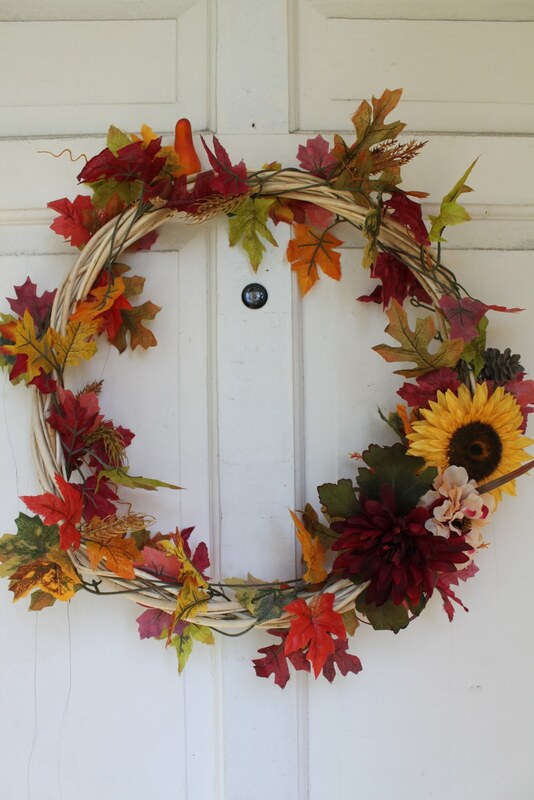 That sure beats spending 16 plus dollars on a fall wreath if you ask me! You could even spray paint or even stain the wreath frame dark brown and add even more leaves for more texture! Oh how I love this time of year! Hello! I just found this blog and I absolutely love it! There are some great ideas here! I was thinking about making a wreath to spruce up our plain, boring apartment door, and now I am truly inspired!